CTK-3500 keyboard No matter who (or where) you are, Casio&r..
Casio LK-265 features: Lessons make learning to play more fun! The total entertainment keyboard! 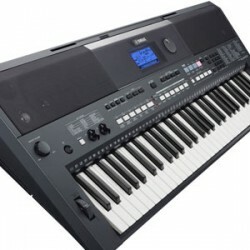 ..
KURZWEIL M110 DIGITAL PIANO 88 Notes, fully weighted, hammer action with adjustable touch sensit..
PSR e463 61-key portable keyboard PSR-E463 is the best entry keyboard for performing various styl..